Debbie Zacarian is known for her work in advancing student achievement. With an advanced degree in clinical psychology; a doctorate in educational policy, research, and administration; and more than three decades of combined experience as a district administrator, university faculty member, and educational service agency leader, she founded Zacarian & Associates. She presents and publishes extensively on working successfully with culturally and linguistically diverse populations, including working with students living with trauma, violence, and chronic stress. Her authored and coauthored books include In It Together: How Student, Family, and Community Partnerships Advance Engagement and Achievement in Diverse Classrooms; Mastering Academic Language: A Framework for Supporting Student Achievement; Transforming Schools for English Learners: A Comprehensive Framework for School Leaders; The Essential Guide for Educating Beginning English Learners; and Teaching English Language Learners Across the Content Areas. 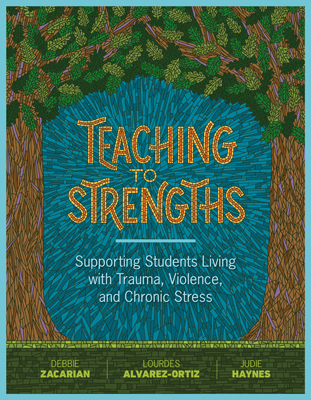 Using real-world examples, the authors outline a comprehensive, collaborative approach to teaching students living with trauma, violence, and chronic stress that focuses on students' strengths and resiliency.